A bike basket makes life so much easier. You can easily place something in it: a few groceries or a bag. 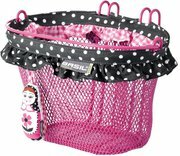 Bike baskets easily give you the extra storage space you need. 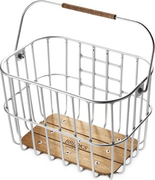 Besides baskets you will also find our entire range of bike crates and dog carriers for on your bike here. When you are looking for a bike basket you will certainly find it on Frank.